But at distances it turns back to the default texture (shown in screenshot). 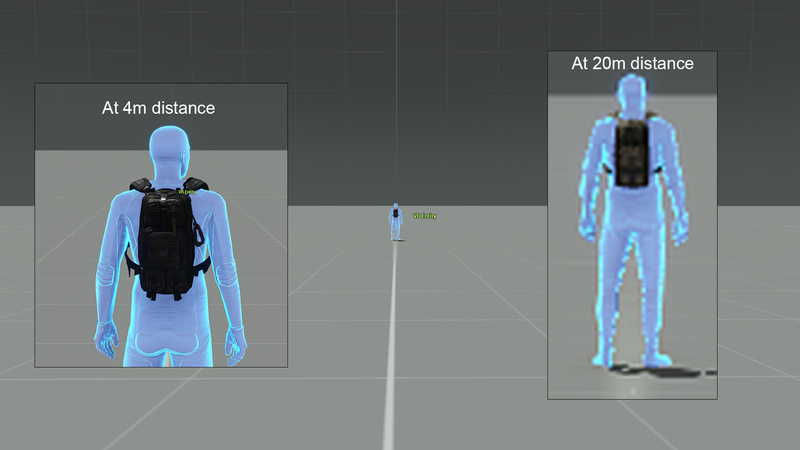 Place a VR entity & equip it with "Assault Pack Expanded (Black)"
This is fixed in the Dev Branch of the game. The fix will be in the next proper update of the game. Thanks for this Wulf but it appears to be only a partial fix, as the three small bags attached to the pack still have an incorrect 3rd LOD (15m) at distance. and appear bright in colour. Best way to test is to view the effect on a black or darker re-texture of the pack.